The platform allows you to build your own OTT service with the best user experience under your brand. We release a set of applications for all popular platforms united under your brand. Our multi-bitrate transcoder provides the best quality of video signal decoding and encoding. Our UDP based protocol guarantees signal transmission even over congested networks. An archive of live TV is organized as a catalog of all series for every TV program and show. Our API allows easy integration with different VoD providers. We are constantly upgrading the platform and applications. Our partners always have the cutting edge TV solution. Our apps are available for all popular platforms. This gives remarkable coverage of the audience and helps to gain popularity of the service. We take great care of user friendly interface and its flexibility to give unique experience and high level of satisfaction to end users. Source: a satellite signal, rights holder’s VoD and TV channel studios. Source signal is recorded and stored as is for future retransmission using our own UDP-based data transfer protocol and transcoded simultaneously into HLS and MPEG-DASH adaptive formats. Received streams are recorded into a specialized repository with the addition of program start marks, a type of content and items. Additionally encryption, data backup and distribution by caching servers are done. All management of streams, catalog, billing, subscribers monitoring and statistics is carried out in the Platform Management Interface. Extensible API is available to integrate with any third party billing system, VOD provider and others. Broadcasting is done either from platform media servers or a specialized CDN depending on a coverage area and subscriber territorial distribution. Branded set of apps is released to Smart TV and mobile stores, or provided as an installation package for STBs. No installation or support payments. Our customers always have up-to-date product for their subscribers as we are constantly improving our platform. You pay for active subscribers only. 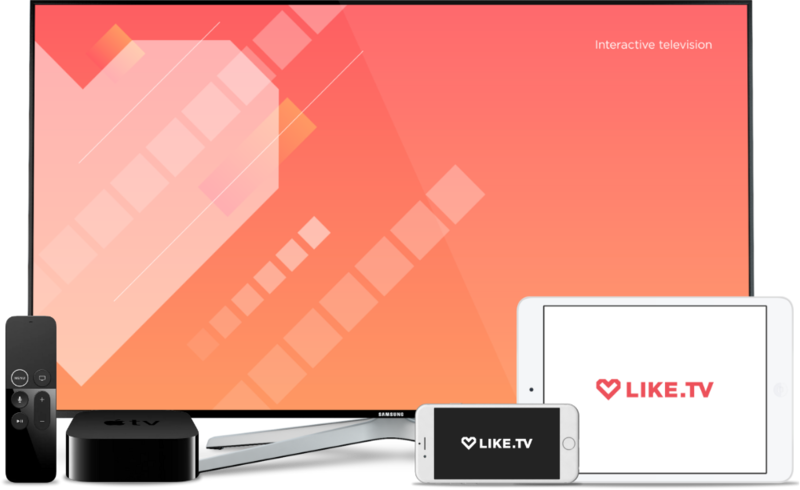 Over 150 ISPs and 300 000 subscribers already using LIKE.TV platform! “LG Life’s Good” is a registered trademark of LG Corp., “SAMSUNG”, “SAMSUNG. com” and “SAMSUNG DIGITall Everyone’s invited” are trademarks of SAMSUNG, “Sony Entertainment Network logo” and “Sony Entertainment Network” are trademarks of Sony Corporation, Android, the stylized Android logo, Android Market, the stylized Android Market logo, and YouTube are trademarks of Google Inc., PHILIPS is a trademark of KONINKLIJKE PHILIPS ELECTRONICS N. V., The Apple logo is a trademark of Apple Inc., DUNE HD is a trademark of HDI DUNE LIMITED. All other trademarks and registered trademarks are trademarks or registered trademarks of their respective holders. In this document, ™ and ® marks are not specified. © 2018 LIKE.TV. All rights reserved.